Aubrey Rabinstern is prepared for the wildfires sweeping across the land around his house. He's even accepted the fact he'll lose his home. But Aubrey doesn't expect to find a man he can love in the midst of the ashes left behind. 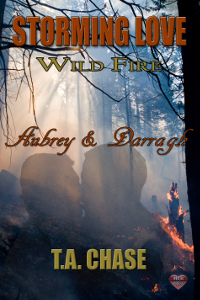 Darragh O'Flannery never thinks he'll meet a man like Aubrey Rabinstern while fighting the wildfires destroying acres of land and homes. Yet in the middle of the chaos, he and Aubrey forge a connection. Can it withstand the normality of life once the fires are put out? 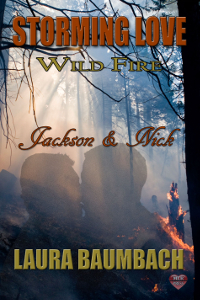 Erick Sunderson is a small town firefighter living in rural northern California. And he's gay. He's not hiding his relationship. He loves his boyfriend, really he does. But he's not ready to commit to either. There's plenty of time for that later, isn't there? After inheriting his grandparents' country farm house, Cameron Haddon is excited about his new life. He loves living in his new home and having a boyfriend. He's ready for more, but will Erick ever commit? During one of the worst fire seasons, when sparks fly, a blaze threatens all that Erick holds dear. It's time to rethink his relationship. Hopefully he's not too late. Sometimes saying goodbye can end up saving a relationship. Breaking up with Caleb was the hardest thing Shaun had ever done. It left a huge hole in his home and in his heart. But feeling like he was constantly competing with Caleb's adrenaline-rush hobbies pushed him to make a stand...one he constantly second-guesses, especially now that Caleb's gone with his Hot Shots team for a big fire in California. Caleb knows he's a lucky man. His family supports him and he's able to do what he loves for both work and play. It took losing Shaun, though, for him to realize that his priorities were out of whack. 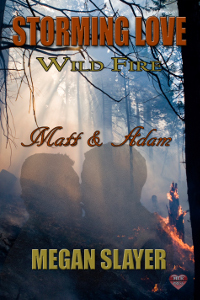 And now his luck might be running out as his crew gets trapped by a fast-moving fire line. All they really need is a second chance...if Caleb can stay alive long enough to make it home.